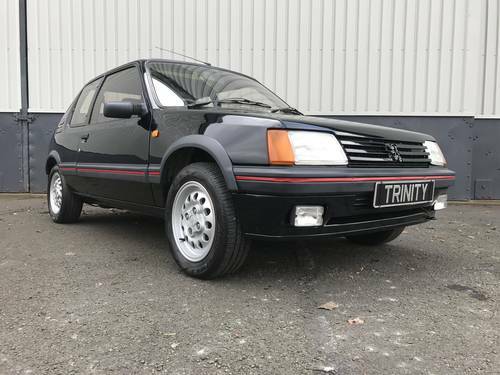 Trinity Car Solutions are renowned for supplying the most desirable Peugeot 205Gtis, and this is another such example, a beautiful Peugeot 205 Gti 1600 finished in stunning Black paintwork, a very well presented little car. 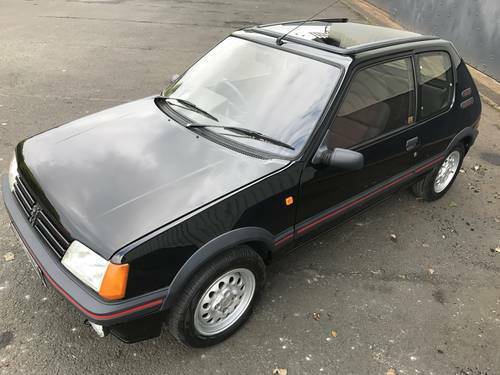 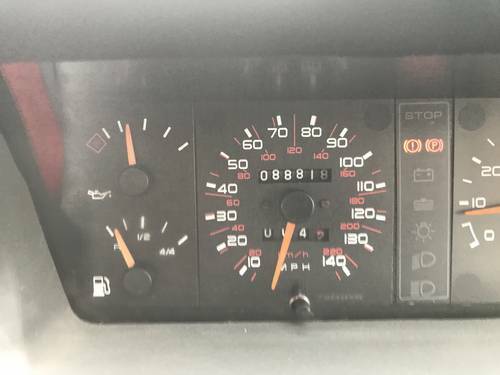 The car is a very nice example, and has covered less than 89k miles, with low owners and benefits from a recent full comprehensive servicing programme, all belts, fluids, brakes and auxiliaries sorted, resulting in a mechanically excellent little "Pug". 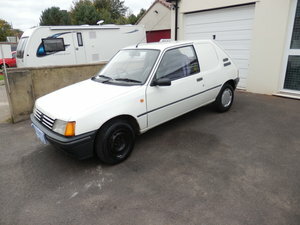 This car has wanted for nothing, and is ready to enjoy with a new MOT at the point of sale for added piece of mind. 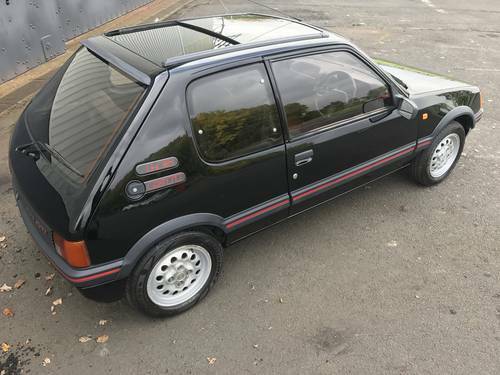 The condition of this car is very good, with highly polished paintwork, with just the occasional age related mark, and rare to see in black in this condition. 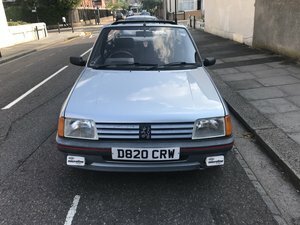 There is no rust, all usual places solid, a testament to its last mechanic owner and this car is a very good usable example. 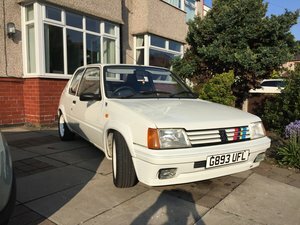 Look at the pictures of this car, it sits right, it looks excellent, and its quality is evident, if you compare it with other examples currently available. 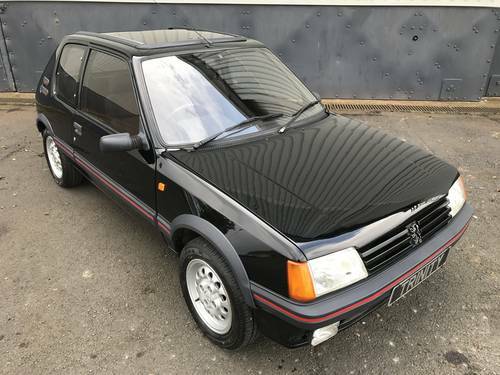 The condition and mechanical excellence of this little Pug is becoming rare, not one of the usual tired examples and will surely prove to be shrewd investment, a GTI in rarer black paint. 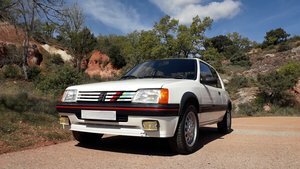 This car really is a must see, and is in our opinion excellent value for anyone wanting a good foundation of this marque. 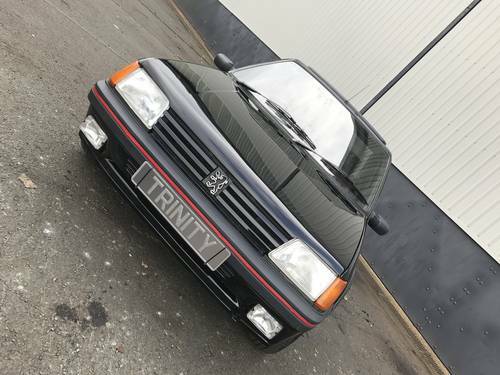 Any inspection welcome as this car has undergone a complete and comprehensive inspection by our team here at Trinity. 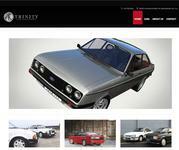 Trinity Car Solutions suppling top quality 90's iconic marques to our highly valued customers. 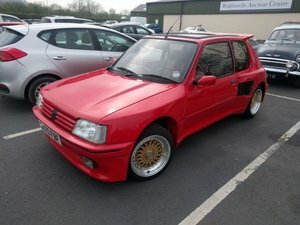 Please don't hesitate to contact us should you have any further questions or to arrange a viewing.